It’s been an intense and oftentimes horrific week, but for some reason President Trump decided Americans should head into Friday wondering if we’re on the brink of war. On Thursday evening, after the White House told the press it’d have nothing else for them, reporters were suddenly summoned and told the president had decided he wanted them to document his dinner with military leaders and their wives, according to the AP. 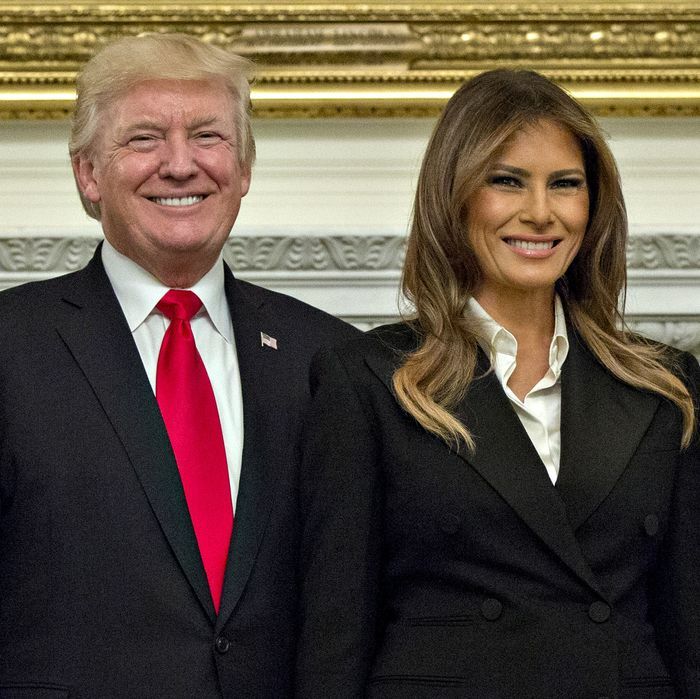 As reporters repeatedly asked what “storm” Trump was referring to, with some throwing out names of U.S. adversaries, Trump and his guests kept smiling for the photo. “We have the world’s great military people in this room, I will tell you that,” Trump commented. “What storm Mr. President?” one reporter asked again. “You’ll find out,” the president replied. In his remarks to the press during that meeting, Trump issued yet another vague threat toward North Korea, saying, “We cannot allow this dictatorship to threaten our nation or our allies with unimaginable loss of life,” and the U.S. “will do what we must do” to prevent that. B) Trump was talking about his plan to wound the Iran deal. Trump is expected to decertify the Iran nuclear agreement in the next few days, and it’s possible he was referring to the international political storm that will create. While there are serious consequences to that action, that would be an overly dramatic way of putting things, since the move is widely expected and won’t actually kill the deal. C) It was a weird joke. A few of the wives got a pretty good chuckle out of Trump’s comment, so maybe they knew he was just teasing the press. Or they were laughing nervously because they just realized their photo is going to appear in history books. D) It was a promo for next week’s episode. Trump often behaves like he thinks he’s still starring in a reality show, and the line definitely had a “tune in next week” vibe. The only difference is he’s teasing the fate of millions of people, not Khloe Kardashian’s career.